Unfortunately, Ryan Air only fly to small airport and not the big international ones, in Portugal. So, Lisa and I had to fly to Faro first. 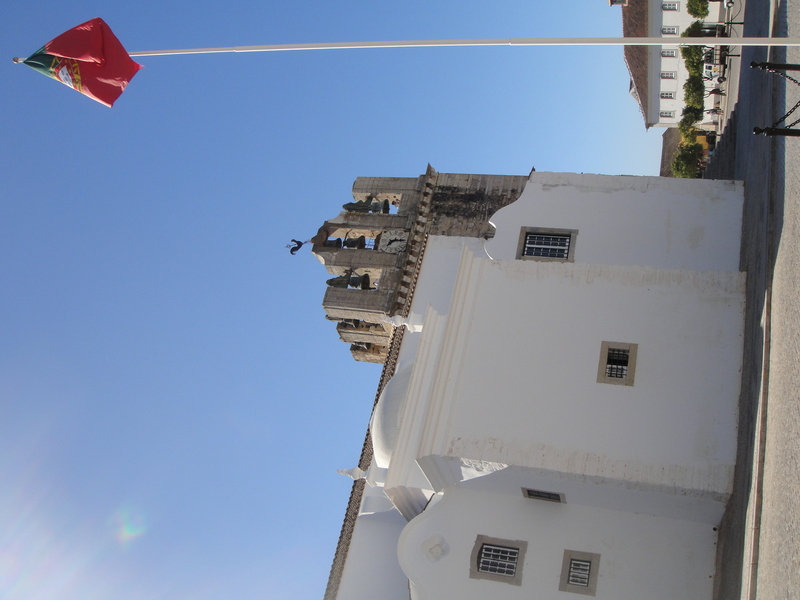 We both had no clue what to expect in Faro or what the town was supposed to be like. Due to our evening arrival time, we decided that we should just stay the night and see what Faro would look like. Other budget travelers who took Ryan Air also thought the same exact thing. Faro Youth Hostel was almost fully booked with the stop-over travelers. The next day, Lisa and I took sometime to walked around the town. As a result, we were in awe with it being very small and very quiet. We found that there were really not much to do. Faro doesn’t even have a real beach. In order to get to a beach, we would have had to take a boat through a swamp area first. What I liked the most from Faro was that it is located in the very south of Portugal, which basically means that it gets lots of sunshine. Compare to the other days when I was in Portugal, it was probably the sunniest day, as lots of rain actually followed our every move. Basically, Lisa and I agreed on an impression that would perfectly describe ourselves and Faro: we would not be able to live there. Or maybe we would, when we were 80. So, by noon, or a little later, we were on a three-hour train journey to Lisbon. 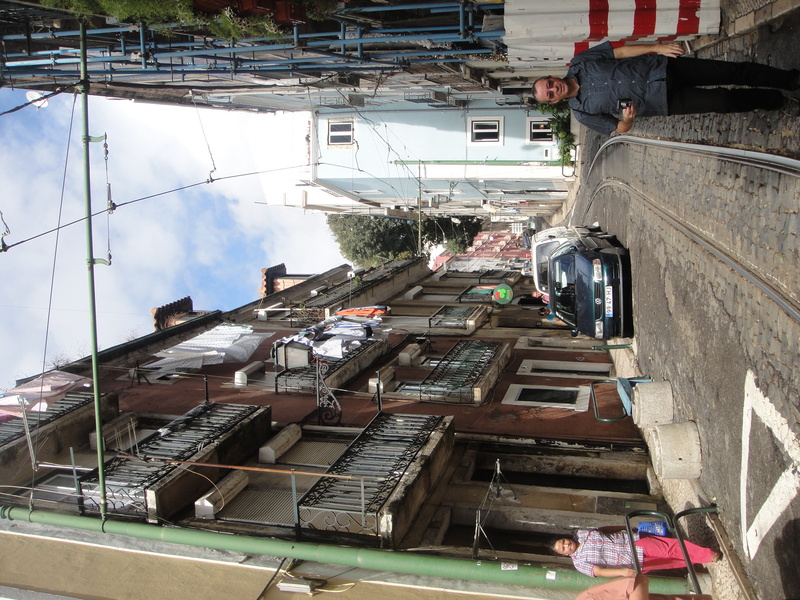 When we got to Lisbon, we found a room in a hostel in the Restouradores area. The hostel, called Kitcsh Hostel, was very hidden, behind a souvenir/tobacco shop, but it was, by far, the BEST hostel I’ve ever experienced. I only paid €12 per night and that included good breakfast (unlimited buns and croissants with butter, jams, and chocolate spread, tea, coffee, chocolate drink, cornflakes, and fruits). 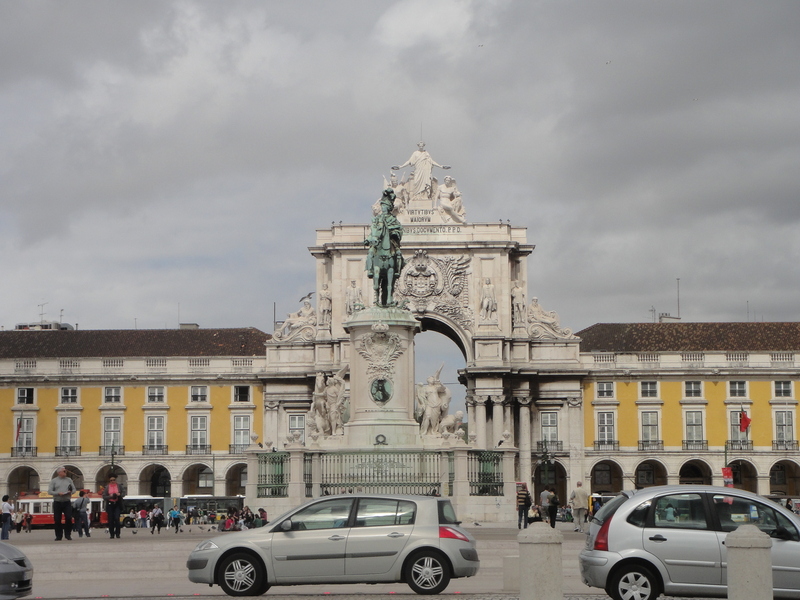 For Lisa and I, it was our first time to go to Portugal, especially Lisbon. Fortunately, Lisa had a German friend who was on her one-year study in Lisbon as an Erasmus student. Her name is Natascha and she gladly took us around the ‘old’ Lisbon. Basically, Lisbon was divided into two: the old and beautiful Lisbon and the ‘new’ and modern Lisbon. Natascha took Lisa and I to many beautiful spots in Lisbon. She took us on a ‘free walking tour’ around the Rosio and Baixa area, which were actually the downtown area and were very close to our hostel. We bought the delicious Portuguese egg tart and decided to sit by the river side, where we could see Praça do Comércio and the river. She showed us where the hippest area of Lisbon, Barrio Alto, was. Unfortunately, we were there at around noon, when everyone was basically still sleeping from the night-long party. We didn’t get the chance to go back there in the evening and experience the party atmosphere because after our second day in Lisbon, it was raining all the time. Natascha lived in the area called Alfama with other Erasmus students from Germany. The area of Alfama was very pretty because of the old buildings and vintage architecture. But it was very hilly, I had to sweat so very much in order to get to her place. Talking about hills, Lisbon was famous as the city of seven hills, so Natascha told us. After taking Lisa and I to one miradouros (hills that function as overlooks) in the Bairro Alto area, we went on another miradouros in Alfama where I took this picture below. The coolest thing about this hills, they were served for people to actually really enjoy the city view, as cafes or merely benches to sit down were provided there. It was very nice to sit on the top of the hills and relax while enjoying the colorful view of Lisbon. In Lisbon, I found that I didn’t really need any public transportation or any vehicle for that matter when I stayed within the downtown area of the city. Everything was doable in walking distance, even though walking uphill was most likely the situation. But I really love Lisbon because of that fact. However, if you’re one of those lazy tourists (like my mom and dad, for example), you can find all sorts of transportations that will help you to go anywhere, such as taxi. But taxi, of course was very boring. So as metro, because it was underground and you cannot enjoy any view. Try the tram, if you’re in Lisbon. It was very handy for climbing those narrow and hilly streets. Or if you’re really-really lazy to get to one of the miradouros, you can also take the elevator from right in the middle of the city. It was not the same view, because it was not as high as any of the seven hills, but it was still nice. Two of the most recommended things-to-do in Lisbon was going to the flea market and going to Belém. The flea market was called Feira da Ladra, which basically mean Thieves’ Market. And from what I heard, when you lose something (excluding money) that’s worth selling, you can almost always find it there. It was the biggest flea market I have ever been. 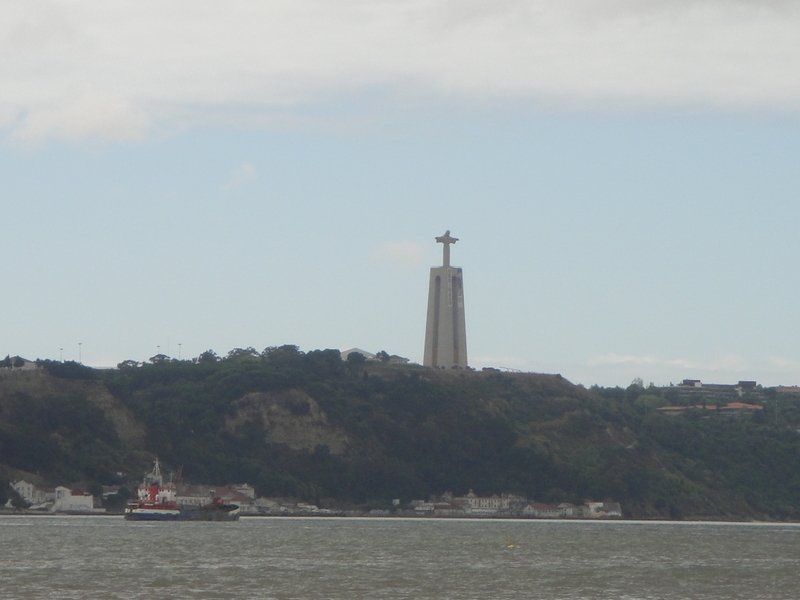 And Belém was basically an area where I saw monuments of everything Portuguese. When I got off from the bus from downtown to the Belem area (it was almost an hour long bus ride), the plaza above was one of the things that I notice the most. It was Praça Afonso de Albuquerque. I immediately had a funny feeling. I have been reading about this man (Afonso de Albuquerque), the very first European man that arrived in Indonesia through the Malacca Strait in 1511, since the first time I learned history, and there I was, standing near a monument that was created to honor him. Despite that I was robbed in Lisbon – yeah. BEWARE OF PICKPOCKETS ALL THE TIME!!! – Lisbon will always be one of my favorite cities in the world. The walking distance to almost everywhere, the most delicious egg tart (I tried Portuguese egg tart in other parts of the world, outside Lisbon, NOTHING can match up with the ones in Lisbon), the great coffee, the friendly new friends, the view, the miradouros, the tram, the vintage architecture, and I could go on and on and on mentioning everything I love about Lisbon and I would finished the next day. I am also very thankful to Natascha for giving Lisa and I free tour almost everyday and for the endless evening invitations. One last nice picture from Lisbon that I took was of the National Theatre below. It was funny, when I was googling around to see what other people have written about Lisbon on the internet, the picture of this theatre came up a lot of times. I definitely would not mind going back to Lisbon and go to other cities in Portugal, especially to watch and hear Fado live.